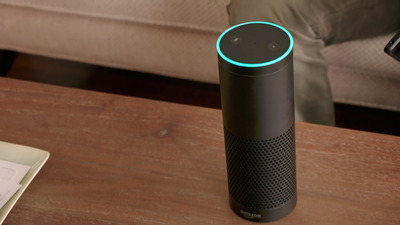 Amazon surprised everyone on Thursday when it introduced its voice-controlled speaker, called Echo. Like Siri or Google Now, Amazon Echo can answer questions, play music, create alarms and reminders, and give you information about the news or the weather. But it’s all hands-free, so you can address the Echo from anywhere in the room and it can hear your requests. Of course, people quickly started having fun with Amazon’s new futuristic toy. Most notably, YouTube user Barry Mannifold made a few “modifications” to Amazon’s introductory video and shared his work with the reddit community. It quickly racked up 1.2 million views in less than a day on the Web. The video is actually quite brilliant. Mind you, Mannifold’s parody includes one word that’s NSFW, so if you have young kids or coworkers around, maybe throw on a pair of headphones.